There's (very) local theater, Dr. Suess's birthday celebration and so much more happening this week! Join Mary, Bert, Jane & Michael as they "Step in Time", fly kites and so much more! Enjoy the classic story of Mary Poppins with some of Madison's very talented junior school kids stepping into these iconic roles. Celebrate the birthday of one of the most beloved children’s authors at Morris Museum. Enjoy readings of Dr. Seuss classics throughout the day, make a hat like the Cat’s, and participate in a Seuss-inspired science demo in the BASF Kids’ Lab. Kids are welcome to come dressed as their favorite Seuss character. Visitors with special needs are welcome to experience the museum and special activities at 10 a.m.
LightWire Theater presents this kid-friendly glow-in-the-dark stage show with cool lights and a classic coming-of-age story. Accompany Marvin on a trip to the moon in his homemade rocket and meet a cast of misfit creatures. Will Marvin make his dreams come true and gain the glory and acceptance he craves? Marvin wants to be popular. Constantly bullied by the cool rats, he is labeled a loser and a geek. To escape the continuous badgering, Marvin retreats into his science books and a world of fantasy in which he’s the hero. Show takes place in Victoria Theater. NJPAC has a Student RUSH program for select performances. Visit our Student Rush page for a list of available performances along with the terms and conditions of the program. 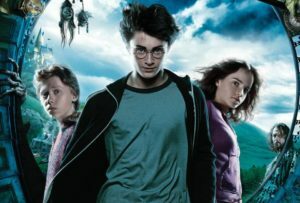 The concert will feature Harry Potter and the Prisoner of Azkaban projected on the giant screen with Oscar-winning composer John Williams' score performed live by the New Jersey Symphony Orchestra. Lend a hand (or a paw) in making some great pet adoption posters for our friends at St. Huberts Animal Welfare Center! Finished posters will be displayed both in the library and at St. Huberts.